A novel acoustic microfluidic nebulization platform is demonstrated, which, due to its unique ability to access intermediate evaporation rate regimes—significantly faster than that in slow solvent evaporation but considerably below that achieved in spray drying, is capable of producing novel crystal morphologies that have yet to be reported in both model inorganic and organic systems. 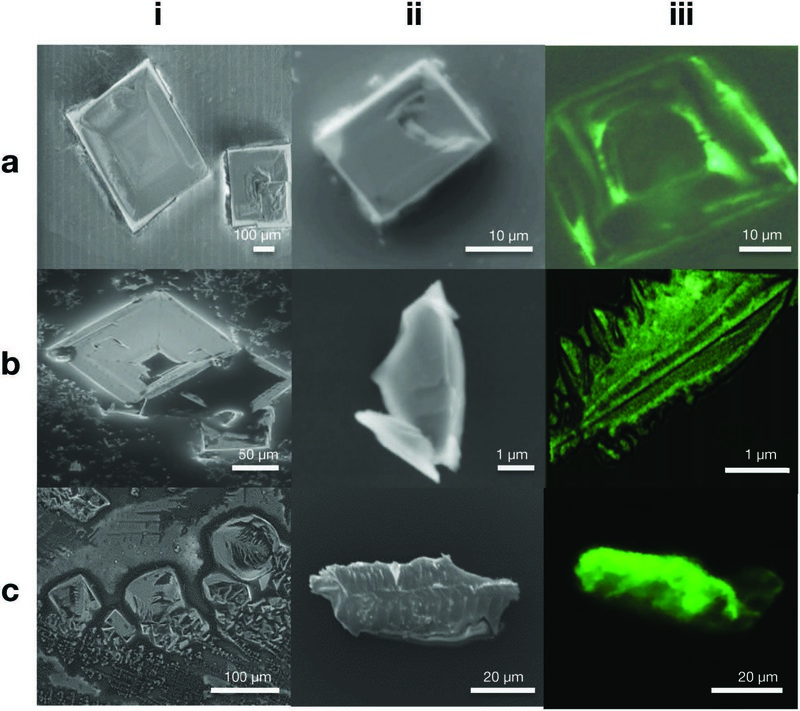 In addition, the potential for simultaneously encapsulating single crystals within a biodegradable polymeric coating in a single simultaneous step together with the crystallization process as the solvent evaporates during nebulization is briefly shown. The platform not only has the potential to be highly scalable by employing a large number of these low‐cost miniature devices in parallel to achieve industrially relevant particle production rates, but could also be advantageous over conventional spray drying in terms of energy utilization, given the tremendous efficiency associated with the high‐frequency ultrasonic microdevice as well as its ambient temperature operation.